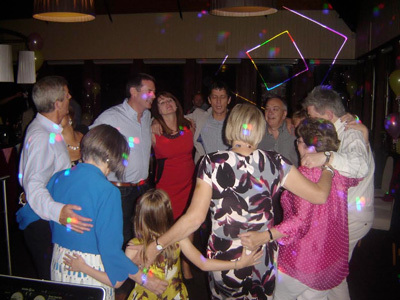 "Discos For Everyone And Every Occasion"
The DJ is one of the key factors for your event playing a wide variety of music to suit all ages and musical tastes. Whether you're celebrating a wedding, an anniversary, an engagement, a birthday, dancing the night away at the office event or just having a party for fun, you'll want someone who can help get the crowd on their feet! With over 10 years of experience and DJing at hundreds of functions including weddings, parties & corporate events, using modern, professional grade equipment and with all music being digital, you'll be hard pushed to request something I haven't got!It's your party so it's all about you and what you want including input to the playlist for your party or just leave it to me, the choice is yours! Required by many venues, Infiniti Disco has a current PLI policy with National Association of Disc Jockeys in the amount of £10 million. Also required by many venues, Infiniti Disco has supplied satisfactory evidence of holding current PAT inspections of their equipment dated within the last 12 months. A Method Statement outlining Infiniti Disco&apos;s Health & Safety procedure for setting up disco equipment has been provided. Infiniti Disco has provided Risk Assessments undertaken at events sourced via needadisco.com, indicating that they can undertake these competently. Why do people choose to book Infiniti Disco? Great reviews and friendly introductory email. Due to meeting him in person and he seemed nice and will cater for what we need. Good personal introductory email, not pushy, reasonable price. Sounded like he was what I needed. "You could not have a better DJ than Martyn. Excellent communication from the moment of booking . Martyn rang the venue to check set up / room arrangements etc and also rang us just prior to the event . Very reassuring . On the night , he presented an excellent disco incorporating our playlist . The lighting effects were specially selected to complement the room decor . The dancefloor was full all evening . Everyone loved it ! Martyn is extremely pleasant to deal with and your event could not be in safer hands . Highly recommended ." "Thank you so much for taking the time to leave such a wonderful review and so pleased you enjoyed the evening celebrating your birthday. It was my absolute pleasure to be your DJ, I had a great time myself! 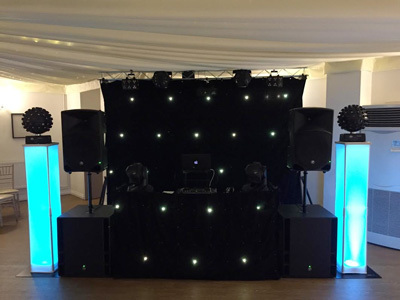 Regards, Martyn"
"Would definitely recommend Martyn for any disco you need! " "Thank you! It was a brilliant night from start to finish and I wish you both all the very best for your future together, regards Martyn"
"Martyn responded promptly to emails. He sent a reminder email prior to my party asking what music I wanted and responded well to requests on the night. He was friendly and professional - feedback from family and friends was great. I would highly recommend Martyn to do an amazing job. Thank you Martyn I will definitely be booking you again!" "Thank you for taking the time to leave such a lovely review and your kind words. So pleased you and your friends had a great time and I thoroughly enjoyed myself too, especially playing the Motown songs! Hope to see you again at a future event, regards Martyn"
"I couldn't recommend Infiniti Disco enough! Martyn was the DJ for our wedding and he was absolutely brilliant. Right from the first contact all the way through until the day he was pleasure to talk with and provided an excellent party for us. He was always available to answer any questions and even, very kindly, came to meet us at our venue, which was some distance for him to travel, a couple of months before the big day. Martyn facilitated all of our song requests and we had an absolutely brilliant time. Would definitely call on Infiniti Disco again for any parties we hold in the future!" "Thanks for taking the time to leave a great review. I had a brilliant time at your wedding and it was my absolute pleasure to be your DJ and I loved your music choices! I wish you both all the very best for your future together, regards Martyn"
"Martyn was extremely professional. He contacted us a few weeks before and requested a playlist/artists. Martyn also phoned us the night before to ensure us he would be there on time etc and to wish us well for our wedding day, which we both really appreciated. We were both very happy with his set up/songs and he is genuinely a lovely guy. We would recommend him to anyone we know needing a DJ. " "Thank you for leaving such a wonderful review and for your kind words. It was a lovely evening and it was my absolute honour and pleasure to be your DJ for your wedding reception. 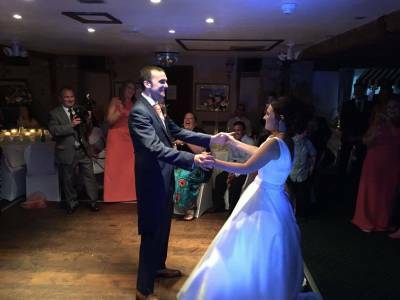 I really enjoyed myself that night too and I wish you both the very best for your future together, regards Martyn"
"Our DJ Martyn was brilliant, such a fun night with great music all round. 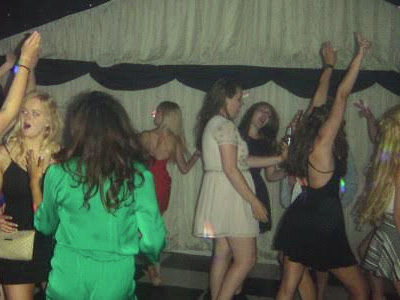 Everyone enjoyed themselves dancing the night away. Wouldn't hesitate to recommend Martyn....great guy." "Thank you for such a lovely review and thanks for a brilliant night, everyone seemed to have a great time! It was an honour to be your DJ, congratulations on getting married and I wish you both the very best for your future together, best wishes Martyn"
"Martyn made the night absolutely perfect. He was friendly, easy to talk to and did everything we asked. He took requests from guests and played a great playlist just to our taste. Have already recommended him to people and will definitely continue to do so!" "Thank you ever so much for your lovely words and so pleased you both had a great time. It was a wonderful evening with great guests and it was an honour to be your DJ. Congratulations to you both and I wish you the very best and maybe see you at a future event! Regards, Martyn "
"Martyn was excellent, arrived early to avoid delay in setting up due to the carnival, followed our music requests and our guests. Highly recommend this DJ. " "Thank you for a lovely review and so pleased you both had a fantastic wedding reception - it was a wonderful evening and a pleasure to be your DJ! Congratulations to you both and best wishes for your future! Regards, Martyn"
"Very happy with Martyn's service before, during and after the event. He ensured that the music complemented the type of event and guests we had and made the disco run smoothly with no problems"
"Thank you for your kinds and so pleased you had a lovely evening - it was a great night with great people! 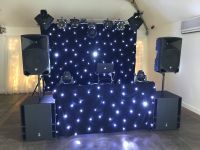 Regards, Martyn"
"I would highly recommend Martyn to anyone who needs a dj for a party he was a very friendly guy turned up on time to set everything up music was great all the guests said they enjoyed it. Will definitely use again. Thank you "
"Thank you for your kind words and so pleased you and your guests enjoyed themselves, I had a great time too; it was a great party! Hope to see you all again soon, regards Martyn"
"Highly professional and brilliantly personable; Martyn at Infiniti Disco was the PERFECT choice for our Silver Wedding Anniversary celebration. Right from the very first email communication, it was clear that this wasn't going to be any 'normal' booking because his attention to detail, care for the client and delivery on the night was second to none. Many, many of our guests - and staff at the wonderful venue (the Hummingbird Restaurant at Shoreham Airport, Sussex) - commented on the quality of the DJ. I would have no hesitation in recommending Martyn to others; I am desperate for another party so we can book him again! " "Thank you ever so much for leaving such a lovely review and so pleased you both enjoyed your Silver Wedding Anniversary; it was a great evening and it was an absolute pleasure to be your DJ for your special occasion. I wish you both the very best and hope to see you again soon! Best wishes, Martyn"
"We really liked Martins friendly communications before and after the event. Everything was set up and ready to go before the event started with Martin dealing with the venue directly to avoid giving us anything extra to worry about. During the evening close attention was paid to what was going on with regards to cake cutting etc and the music was tailored to fit. By the end of the evening everyone was up dancing! " "Thank you for your kind words and your hospitality on the night. I had a great time and so pleased you and your guests did too. It was a fantastic night and it was a pleasure to be your DJ, best wishes, Martyn"
"Met Martyn and went through the planned evening months ago, he kept in touch throughout. A really nice chap who played the perfect set for the age group and nearly all the requests we asked him for. Very tuned in to our night, made the evening a great success." "Thank you for your kind words and so pleased you enjoyed yourselves. It was a great evening and I really enjoyed myself too! Thanks again, regards Martyn"
"We use Martyn for our wedding in Aug. He was very good and professional. We didn't have any problems at all and would be happy to recommend him to friends and family. " "Thanks for your kinds words and congratulations on your wedding. 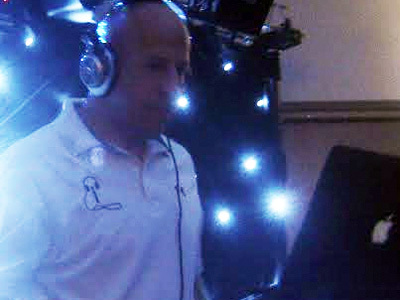 It was an honour to DJ your wedding reception and I wish you both the very best for your future together, regards Martyn"
"Fantastic interaction and communication, minimum fuss, great DJ for a prom, works well with people of all ages!" "Thanks for the review and my compliments to you on organising such a successful event for your prom. It was a pleasure to be your DJ and I wish you all the very best in your future endeavours! Regards, Martyn"
"Martin was fantastic! He made my 40th a very memorable occasion and everyone who came commented how great the music and lighting were. No request to big or small, great mix of music and really nice touch with playing our wedding song. Will definitely book again!!" "Thanks for your kind words and really pleased you enjoyed your 40th birthday party; it was a great night and an absolute pleasure to be your DJ and hope you see all again soon! Regards, Martyn"
"Couldn't be happier with DJ Martyn. Gave excellent playlist and handled music requests. Polite and friendly manner. Would DEFINITELY recommend." "Thanks for the review and your kind words, it was a great evening and it was a pleasure be your DJ! Kind regards, Martyn"
"Fantastic DJ, highly recommended. Had the best night"
"Thank you for your review, it was a great night and I had a great time too! Regards Martyn"
"Martyn was attentive, enthusiastic and professional from the outset and even met up with us at venue long before the event and took a lot of time to check out the venue and find out from us what we had in mind. We wouldn't hesitate to recommend his services, which were good value. Ours was a 25th anniversary party for approximately 90 people of mixed ages." "Thank you for your lovely review and my congratulations on your 25th anniversary. It was a wonderful evening and it was a pleasure to have been there and I wish you both the very best for the next 25 years! Best wishes Martyn"
" In all the quotes i received for the event several seemed to fit the bill. What swung it was that he was the only one that added the personal touch by congratulating me and my daughter for our birthdays first then giving the quote. Also he arrived at the venue at the same time as me so we started chatting and i found him to be a very freindly & approachable individual." "Thank you for your kind words and so pleased you both had a great evening, I know I did! Regards, Martyn"
"Martyn Everitt of Infiniti Disco's was a pleasure to work with and was very accommodating with our requirements specific to the event. He kept in constant contact on the event day and arrived in a orderly fashion and set up a well presented and professional rig. His music choices and enthusiasm on the night really brought everyone onto the dance floor. I would highly recommend and definitely use again." "Thanks for your review and my congratulations to you on organising such a successful event for a great cause! Regards Martyn"
"Martyn provided an excellent disco for my party. He took the time to understand exactly what I wanted and my guests were all very impressed by his professionalism. His light set up was really spectacular. He kept my guests happy and dancing until the early hours of the morning. I would definitely recommend him to anyone and hope to use his services again myself. Apart from everything else he's a really nice man!" "Thank you every so much for taking the time to leave such a lovely review and so very pleased that you and your guests had a great evening, I had a great time too! Regards, Martyn"
"Very professional with a no fuss, best choice for value for money. Played everything I asked for, highly recommended and would use again." "Thanks ever so much for leaving such a great review and thanks for a great night...so pleased you enjoyed yourself! Regards, Martyn"
"Martyn had a wide range of needs within the audience as we had from 6 - 70 years. He helped provide simple games for the younger group, 70-90's music for the inbetweeners and trendy music for young rocking teenagers. Very impressed responsive and communicative to all. Many thanks Caroline Martyn"
"Thank you for a lovely review. It was a great night and it seemed that everyone had a great time, I know I did! Regards, Martyn"
"I can not fault Martyn! He was fantastic and all party guests told me how fantastic he was. Would definitely use him again!" "Thank you for your kind words and so pleased you had a great evening! I had a great time too and hope to see you again, Martyn"
"We have worked with Martyn in the past, and it was a pleasure to work with him again! Would highly recommend him and the lighting was great." 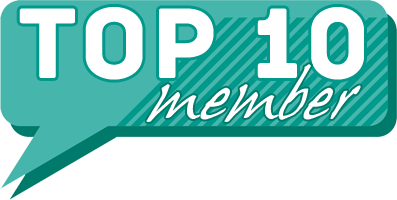 "Thanks for the review, it was another great event and a pleasure to work with you again!" "I was the conduit between the DJ and the end user. I am aware the customer was very happy with the result and with the introduction from ourselves." "It was a great night with good fun had by all, including myself! Many thanks, Martyn"
"An excellent job all round, lots of guests commented on what a good day and evening it was and the disco was really good. Would definitely recommend." "Thanks for your kind words and thanks for a lovely evening, I had great time!" Infiniti Disco also offers a range of additional party services not directly linked to musical entertainment. Please note that needadisco.com has no editorial control over these images which are stored on flickr.com. If you have any concerns about what you see below, for example potential copyright infringement or unsuitable content, you should take this up with Infiniti Disco directly using the Contact section below, or else you may alert flickr.com directly quoting "set number 72157653631263433". A personal style to fit your event! If you are contacting Infiniti Disco about an event, it's always a good idea to include the DATE, LOCATION, EVENT TYPE, AGE GROUP and TIMINGS to speed things up!